The transient nature of lightning with its associated fast rise times and large magnitude currents mean that special consideration needs to be given to grounding, for lightning protection to be effective. Many factors such as soil resistivity variations, installation accessibility, layout and existing physical features are all site specific and tend to affect decisions on earthing methods employed. 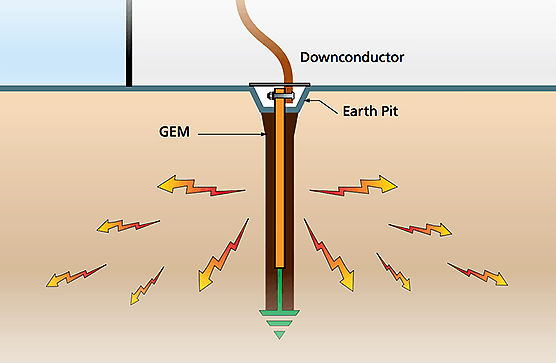 The primary aim of a direct strike grounding system is to efficiently dissipate lightning energy into the ground and to help protect equipment and personnel. Low impedance is the key to lightning protection. 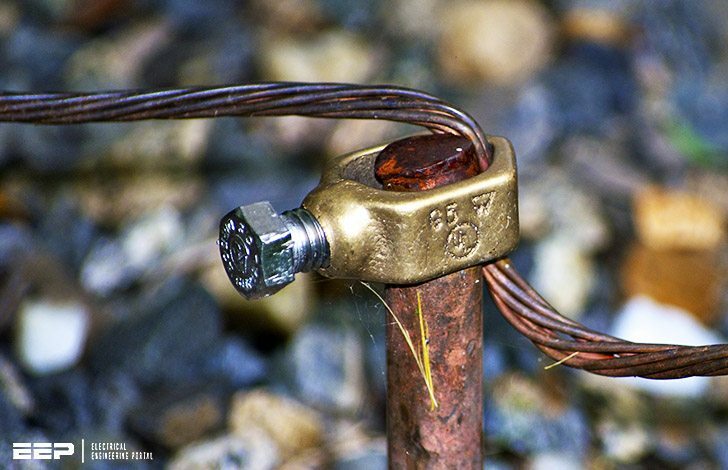 All earthing connections should be as short and direct as possible to minimize inductance and reduce peak voltages induced in the connections. The ground electrode system must efficiently couple lightning surges into the ground by maximizing capacitive coupling to the soil. The resistance of the ground itself to lightning currents must also be minimized. Only when all these factors are taken into account will maximum lightning protection be achieved. Soil resistivity is an important design consideration. It varies markedly for different soil types, moisture content and temperatures and gives rise to variations in ground impedances. The voltage generated by a lightning discharge depends primarily on the risetime of the current and the impedance (primarily inductance) of the path to ground. Extremely fast rise times result in significant voltage rises due to any series inductance resulting from long, indirect paths, or sharp bends in the routing of ground conductors. This is why short, direct ground connections are important. This is very considerable that you noticed to inductance of lightning path and transient phenomenons as well. Rise time is very important factor that appears in di/dt term. Many people only consider about DC resistance in lightening grounding system. This is a great portal! 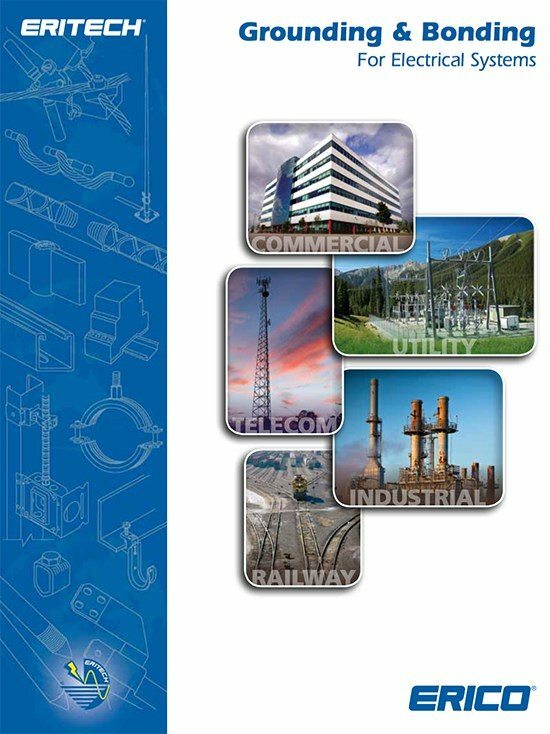 Thank you very much for a great number of very useful guides and engineering books!